​PUBG Patch 27 arrived on the PUBG PC Public Test Servers on Wednesday, bringing a preview of the changes aimed at the larger game. Although there are several worth talking about, here are the five biggest changes coming in Patch 27. One of the most iconic guns in gaming has finally made it to PUBG PC. The ​MP5K 9mm submachine gun will be exclusive to Vikendi, where it will replace the Vector. It features a lower firing rate and damage per second, but a higher damager per bullet. It can carry up to 30 bullets, or 40 with an extended magazine. PUBG Corp finally revealed its ​plans to rebalance Erangel's erratic loot distribution, correcting for complaints the community has leveraged for months. This update will bring the first step in the process that transforms Erangel from a flagging first experiment into a modern PUBG experience. The new ​Survivor Pass 3 – ​Wild Card will give PUBG Corp another shot at making a battle pass equivalent that fans can universally enjoy. After two fairly abortive attempts marred by limited time rewards and ridiculous challenges, PUBG Corp claims the new set will be free of both. Whether that's true remains to be seen when the pass goes public. The first non-beta Survival Title System season​ ​arrives in PUBG Patch 27. PUBG Corp has taken the opportunity to make it easier to rank up and added rewards for individual promotions in their attempts to improve the system. 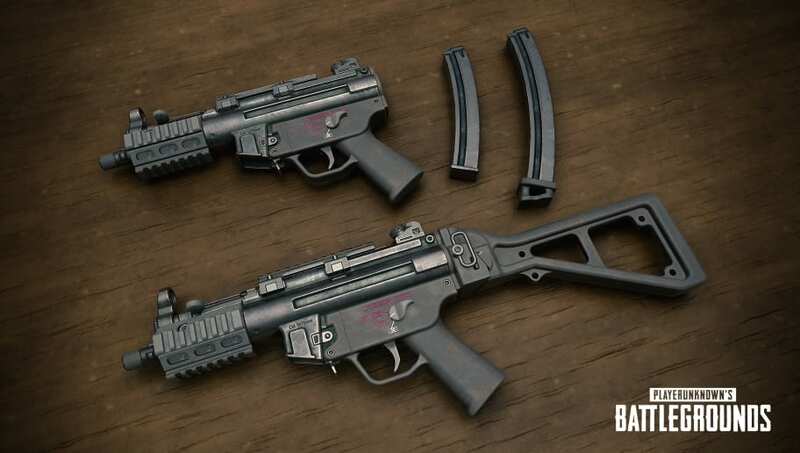 Submachine gun changes abound in PUBG PC Patch 27. Both of the game's dominant SMGs are receiving adjustments. The Vector will now use 9mm ammo, carry up to 19 in a magazine, and deal 3 less damage per shot. The UMP, now known as the UMP45, will use .45 ammo with a standard magazine size of 25 rounds, down from 30. Its gunshot sounds have also been improved.